Download videos from all video sites and social networks. 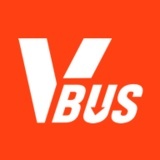 Download VideoBus app for android. These days video downloading apps are among the most searched for. VideoBus is great addition to this kind of software. It lets you watch and download videos from any video-streaming platform. Browse and download YouTube, Metacafe, Vimeo or LiveLeaks videos. At the main screen of VideoBus there are shortcuts for every major video site. Just tap on the desired site and view it in interface very similar to its native one. Find the desired video and download it. You can download your own videos from social networks too. All videos from Facebook, Twitter or Instagram can be saved as HD videos to your device memory. This is great if you want to watch them offline. There is another way of downloading videos to your devices. You need to have the video's URL. Paste it within the app and you can have it downloaded in seconds. Just choose the desired file format and resolution and tap the Download button. The app has the option to download multiple videos at the same time and downloading in the background. Although it may not be well-known as other downloaders like TubeMate and Videoder, VideoBus is a solid app that does its purpose. What is VideoBus? You can browse media content about VideoBus on Pinterest, where great images are added every day. Watch how to install and use VideoBus videos on YouTube. You can also look for VideoBus app on Amazon Appstore.